Co wy wykopujecie? Jest jakakolwiek weryfikacja? Też mógłbym sobie wrzucić dwa losowe zdjęcia z Instagrama i linka do Paypala. What do you think about socialism that destroyed your country? What about food ? Is it problem to buy milk,bread etc? Was life before ~2010 roughly the same as in other countries at the time, or was Venezuela always awful (just less than now)? @GoGoPowerRangers: Life was way better than now. 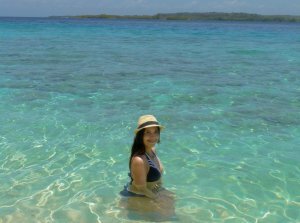 I was 16 years old in 2010 and I was studying tourism at university in Isla de Margarita. God, how much I miss my life then. I was able to take a flight without no problem to visit my family on holidays, buy all food I wanted, spend time with my friends on some nice places..